I was returning a previously rented car on the same day and saw a sign outside this location that said 14.95 weekend rate. I wanted to make another reservation with the weekend promotion rate. I spoke to the manager Tyler Mittelsteadt, and he confirmed with me that the rate only applied if I had rented it for 3 days. (The staff werent knowledgeable and had to call out the manager to help). He told me specifically that there werent any rentals available for the coming two weekends but would be able to reserve for me for the third weekend. So I reserved it for the third weekend from Friday 5:00pm to Monday 5:00pm to take advantage of this promotion. However, I did not get a reservation confirmation email. So I called them a week later to ask for my reservation code. This lady picked up and told me I was on the reservation but for a day rate of 24.95. She said she talked to the manager Tyler and this was what it was. I was furious at the way she handled the situation. She didnt even give me a chance to speak to the manager. The service was extremely terrible. She told me there was no more weekend rate. There was no explanation at all as to why my reservation wasnt done properly to the weekend rate. Now Im left with no car for that weekend, while I had always thought I would get one. SERVICE AT ITS WORST. THIS LADY STAFF MEMBER ALSO HAD NO CUSTOMER SKILLS -------------------------------- 03/14/2016 Tyler was able to address the issue with a follow-up phone call and compensate for the confusion by given me the weekend rate for the Easter weekend in March. Tyler was very thorough and understanding and I got my confirmation email right away. But I still think other staff members need further training. Thank you. --------------------------------- 03/28/2016 I returned my vehicle today and I had a much better experience this time around. Tyler greeted me right away when I arrived at budget and I had complimentary vehicle upgrade and mileage (I was a bit over the mileage limit for the weekend). Tyler made sure everything was right this time. He offered me a ride home at the end but I didnt need one. I will rent from this location again if the weekend rate is still available. Thank you. 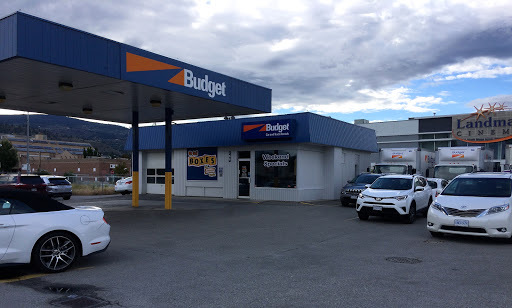 I had a very bad experience with Budget Car & Truck Sales in Penticton (188 Westminster Ave W). One of the staff gave me the wrong information about car rental and dropp-off policy and caused me problems and expenses. When I called them and asked them for an explanation, they just played with words and tried to change the subject while repeating some sentences like a answering machine. They do not have enough/correct information about their policy. In addition my rented car was not inspected properly by their staff and needed an oil change right after I had recieved it. I will never rent any vehicle from this company again. I am not pleased with this location of Budget as I returned my vehicle today and was charged more than what I was quoted before I left. It boils down to an incorrect/lack of explanation of the matter beforehand, and when I asked for an explanation in the aftermath I was treated like I was the one who did something wrong. All I expected was an apology and a proper explanation of the matter but I didnt get it. The guy just played dumb. And the girl gave me a snot nosed attitude "Have a nice day!" when I walked out the door. I will not use this company again. Efficient front desk services. Lots of variety of vehicles. And Moving boxes and supplies. Good hours and central location. They will also pick you up. really poor service. They gave me some wrong information and were not at all helpful. I would not recomend this branch. Car wasnt ready for pickup. Staff didnt mention additional charges and fees at time of booking. Not very friendly. Very friendly and helpful staff. Much cheaper than renting from the airport. Can i rent a car with international drivers license issued in South Korea? Had an issue with our first rental and they looked after us right away. Staff are always helpful and friendly!